Gael Gaming officially became a club in 2016, but our roots stretch back much farther. Gamers have always been part of the SMC community and student life. But it was hard for them to find people with the same interests outside of their circle of immediate friends. 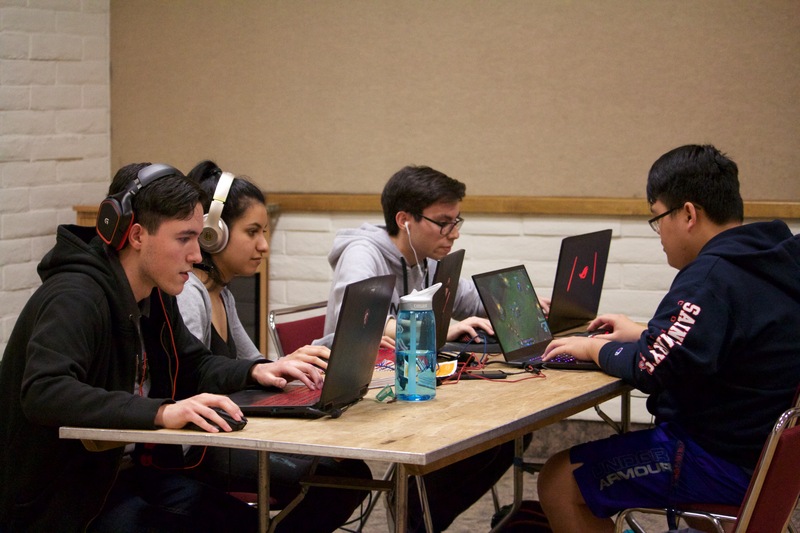 Gael Gaming was formed with the goal of creating a space where anyone and everyone in SMC—whether hard-core competitors or casual players, veterans or newbies—could bond over a shared love of video games, and play in both competitive and casual atmospheres. Our members’ interests range from first-person shooters to role-playing games, indies and puzzles, racing and fighting, etc. In short, if it’s a game, we’ve probably played it already. Last year, we also absorbed the Board Game club because we know that our members love having fun just hanging out with each other and that gaming shouldn’t be limited to just video games. Now, we host biweekly meet-ups, where we bring in a variety of board/video games for our members to play on. We try to encourage them to play something completely new (for example, the latest Battle Royale hit Apex Legends) or an older game they never got the chance to play when they were younger (for example, Guitar Hero). We organize several tournaments (sometimes in collaboration with the Residence Hall Association) throughout the year, where anyone, even if he or she is not part of the club, can compete and win prizes. Besides the League of Legends tournament, our most popular ones include Smash Bros, Mario Kart, NBA2K, and FIFA. We’ve also hosted booths/arcades at other student organization events, like APASA’s Night Market and SMC’s Night-N-Gael Program and Relay for Life. Our current and future plans include hosting more casual game nights and expanding our repertoire of video game tournaments. We’re also looking into having field trips off campus to arcades and video game companies in the Bay Area so SMC students can be exposed to the workings of the industry should they choose to pursue games professionally. If you’d like to see more of what we're doing, contact our email (gaelgamingsmc@gmail.com) or myself (tkp1) and our secretary/publicist Cecilia Estrada (cje7).